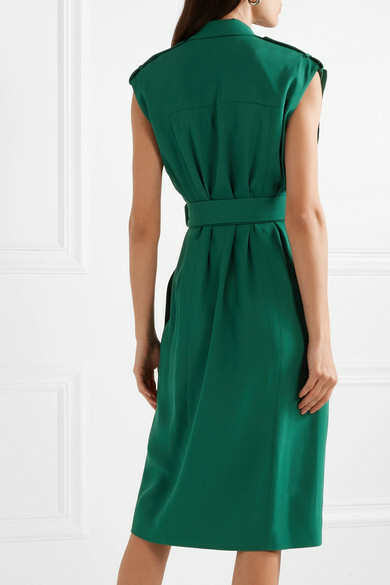 It's so impressive how Jason Wu can start with a masculine blazer and turn it into something as soft and feminine as this wrap dress. 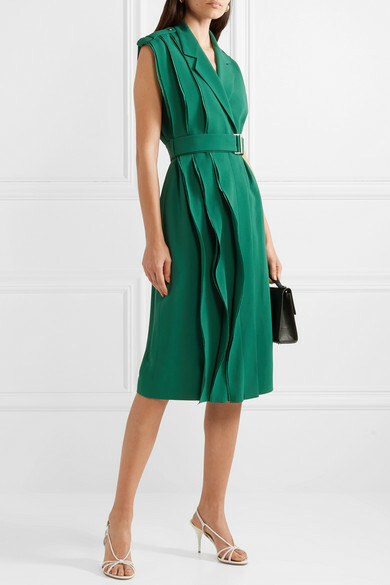 Made from fluid satin-backed crepe, it has wispy layers on one side and a thick belt to cinch in the loose silhouette. 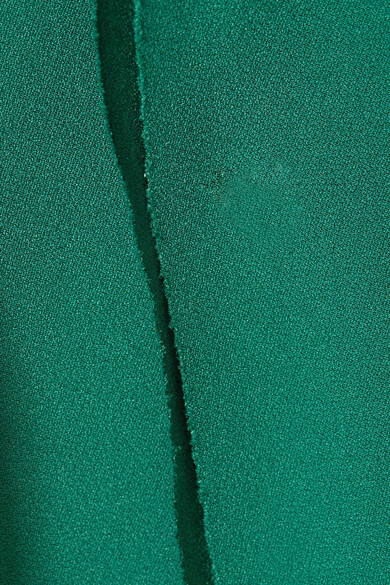 The shoulder epaulettes and notch lapels are traditional tailoring details that keep it looking sharp. Shown here with: Hunting Season Tote, Prada Sandals, Leigh Miller Earrings.